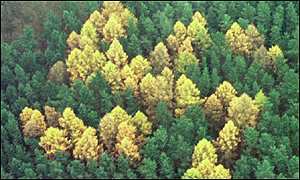 Did the NAZIs planted trees of contrasting colour in the shape of swastikas in various forests around Germany, and have these only recently come to light? Copyright (c) 2003 Chris Lightfoot. All rights reserved.